As was usually when coming in from one of the trails around the village of Porrera, my dog had spotted a cat and ran off through the houses. We’ve been through this game many times before and he has trained me well. I head to the old stone bridge and wait for him, knowing his general whereabouts in the village as I hear the other dogs locked up in the houses barking at him in jealousy as he rockets by. While standing on the bridge, Albert came out of his winery, Vall Llach and saw me there waiting for my wayward hound. He invited me to the village winemaker’s dinner that evening in Lo Teatret (one of the local restaurants) as they planned what they were doing for the forthcoming “Nit de les carinyenes” (the night of Carignans.) I was initially bashful to attend as while I live in the village, I am unfortunately no winemaker. He insisted and I happily gave in. The Vall Llach was one of the best treats as while the wine was aging fine and still had a surprising amount of primary fruit in it, it was also the only vintage of the wine I hadn’t yet tasted do date. All of the others, I had the pleasure of tasting last summer. Trosset was quite a surprise. This is a wine that few know due to their only making some 2-3,000 bottles a year but 2011 was a pretty shoddy year for Priorat with all kinds of defective wines. Trosset 2011 was not. It held more fruit than other years and was quite vibrant, with a good deal of life in it. I look forward to seeing the evolution of this one. Balmaprat are another very small producer and they tucked in this new, as-of-yet untitled wine which is a 50/50 blend of Grenache and Carignan. It’s a nice wine that needs a bit more time in the bottle but is showing all the strengths of the village. We opened bottle after bottle and made our way through with winemakers I knew to generally be quiet and reserved getting boisterous and hilarious. By the time dessert rolled around the owner of the restaurant asked if we wanted to try a bottle of Clos Erasmus 1999. Everyone pretended to think about it for a moment and it was quickly opened. The wine still showed quite well, but deserves being written about at length in another article. Needless to say, big decisions were made at this dinner. 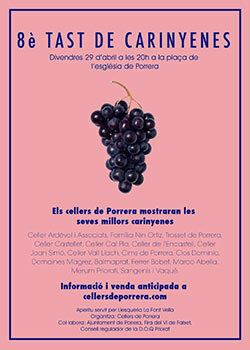 Porrera wines are excellent and yes, the ;a href=”https://www.hudin.com/the-tastes-of-priorat/”>Nit de les Carinyenes will happen yet again! 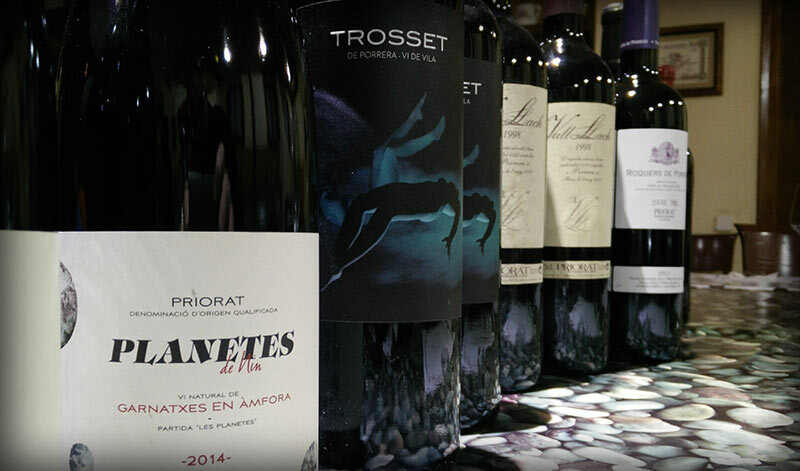 For those in town for the annual Priorat wine fair, it’s an excellent moment to try the grape that everyone says is the best from the village. I quite like the Grenaches as well, but then again, I’m probably a bit biased as I live there.